"Everyone knows what's in store when Jim Cantore shows up. So we issued a little notice," the sheriff's office jokingly wrote on Facebook. 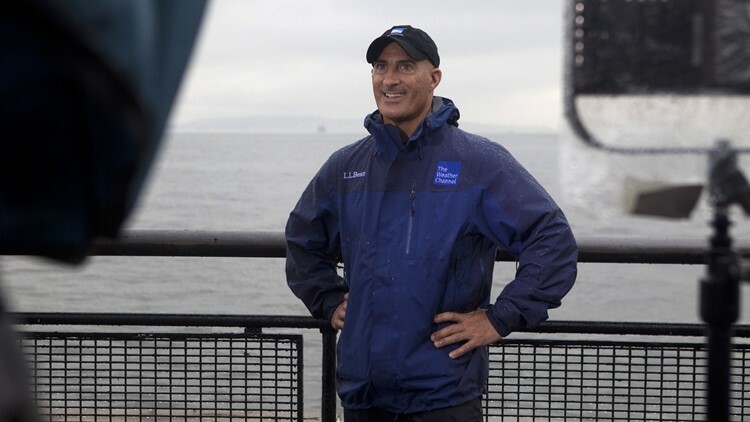 SANTA ROSA COUNTY, Fla. -- The Weather Channel's Jim Cantore is coming to Florida as part of the network's coverage of Hurricane Michael, but at least one county says he's not welcome there. The Santa Rosa County Sheriff's Office jokingly posted this Trespass Warning for the meteorologist on Facebook. "Everyone knows what's in store when Jim Cantore shows up. So we issued a little notice," the sheriff's office wrote on Facebook. The notice includes three photos of the famed weatherman, but it doesn't outright ban him from entering the county. There are special conditions allowing him to visit for "non-business related visits" and during "winter months." The sheriff's office said the poster is all in fun, adding that "we like Jim, just not under these conditions." Santa Rosa County is just east of Pensacola and could potentially take a direct hit from Hurricane Michael. The storm is expected to strengthen into a category three storm before landfall.